Home / News / Politics / Blindness towards facts: Is Leni Robredo really that idiot? 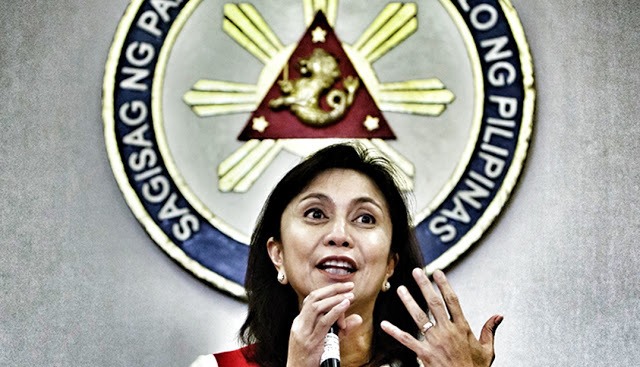 Blindness towards facts: Is Leni Robredo really that idiot? One can not comprehend the fact that the soon to be ousted Vice President Leni Robredo still believes that the 2016 elections was fair. After discovery after discovery of tampering and cheating in Camarines Sur alone by no other than the Supreme Court, that is acting as the Presidential Electoral Tribunal (PET). How can one maintain her stand after voting ballots have been soaked, burnt and chemically dissolved and not to mention the tampering of these ballot boxes due to its lack thereof proper documentation? How can the Vice President of the Philippines blindly believe that there has been no cheating in the entity of the Philippines when a single province, Camarines Sur, has provided the PET with a treasure chest of evidence that directly states that if cheating in one province happened, then it can happen to other far-flung provinces and metropolitan centers a like. She truly is living to the Liberal Party’s reputation as a “Yellowtard” but having a retard as the Vice President is truly unacceptable. We need a Vice President that can stand firm with ambition like Duterte. Someone who is not blind, someone who is aware of everything and uses his awareness and knowledge to develop the Philippines. But that person truly isn’t Leni Robredo.